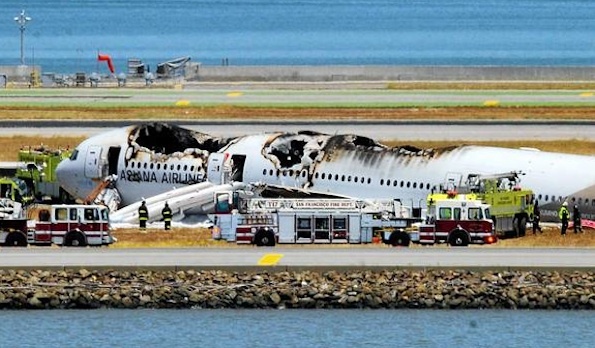 A plane coming into San Francisco from Seoul, South Korea across the Pacific Ocean skidded and ignited after a failed landing this morning that left two dead and 181 in need of medical attention. 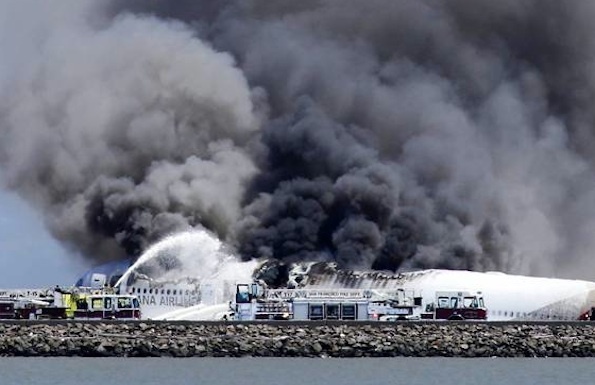 Multiple sources for the L.A. Times have stated that that pilot did not make a distress call before the crash. “I know the airport pretty well, so I realized the guy was a bit too low, too fast, and somehow he was not going to hit the runway on time,” one passenger told a local news station.